M.I. and DJ Cutt of Constant Deviants ended a weeklong series of radio appearances in NYC when they dropped in on Brooklyn’s Classic Storm Radio Show last Friday. 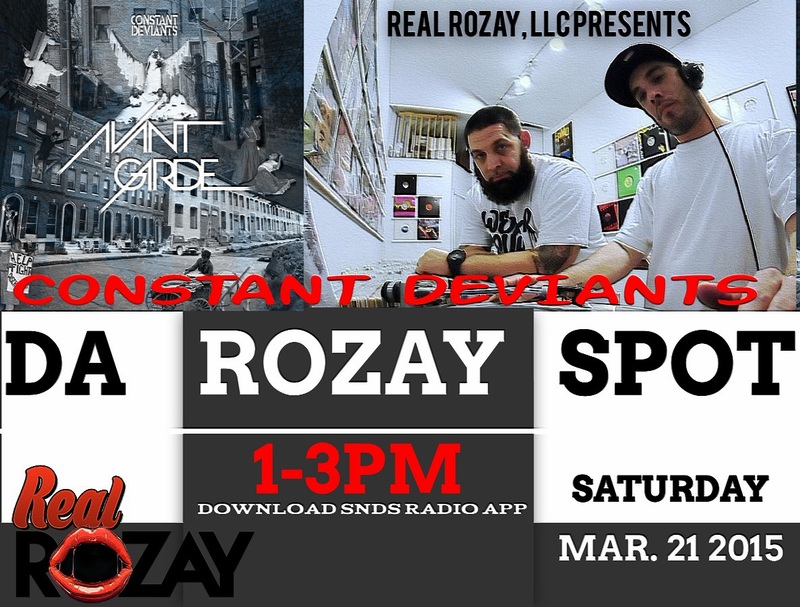 Hosted by DJ Toshi and Sunez of the online Premiere Hip Hop, the interview section is one of the most in depth to date as Sunez goes all the way back with Constant Deviants, discussing their careers and the changing face of hip hop through the years. They dissect the new album “Omerta”, addressing the various concepts, production techniques and lyricism that all went into the make up of the release. The nature of the interview acts as a real 360 not only in relation to Constant Deviants, but also as an insight into the workings of independent hip hop over the past couple of decades. 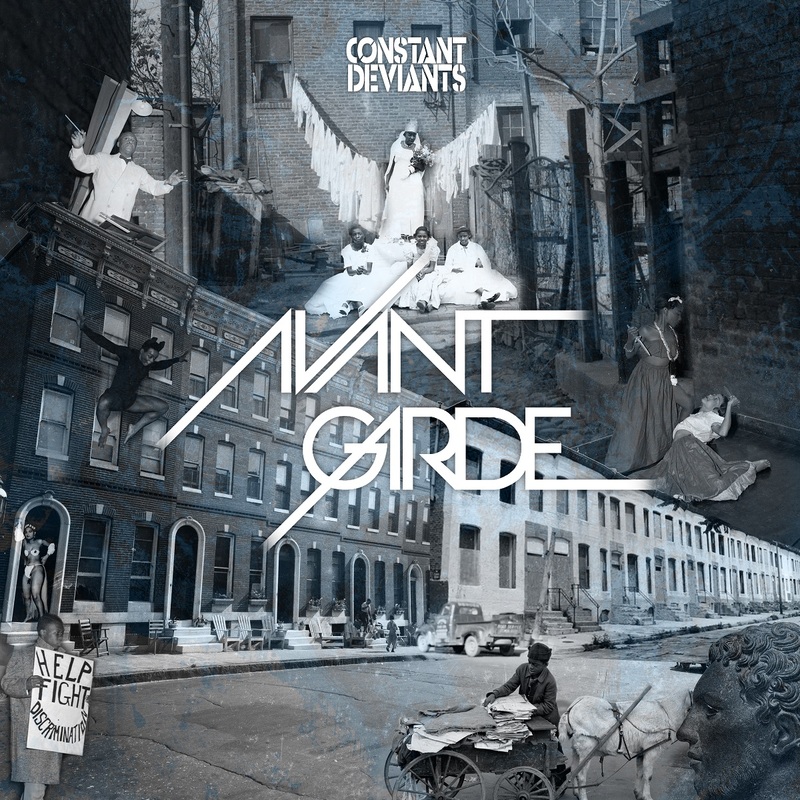 Veteran hip hop duo Constant Deviants release their fourth studio album “Avant Garde” on 12th May 2015. Via their own Six2Six Records imprint, it will be made avaialble internationally on vinyl, CD & digital formats. Now back in the independent sector, the pair had worked previously with Major labels Arista in the case of Emcee M.I., and Roc-A-Fella where DJ Cutt engineered several albums for their roster. 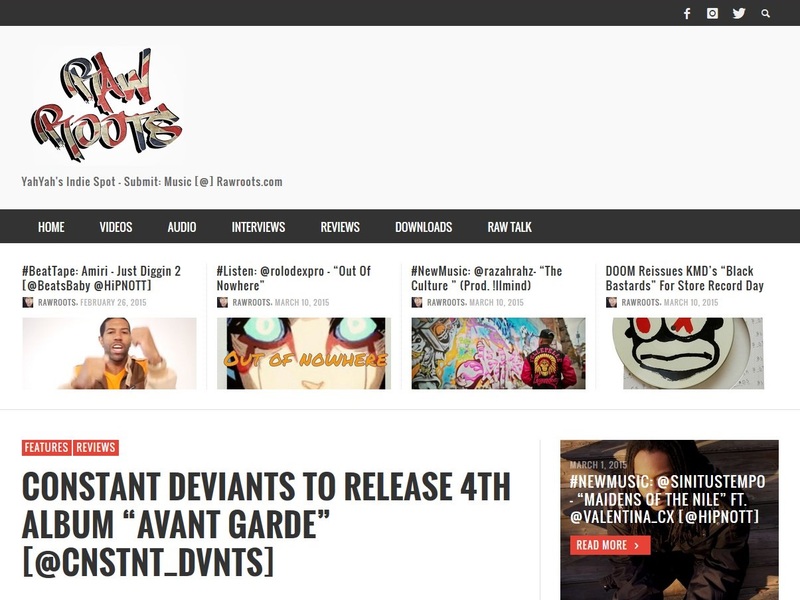 Having just celebrated the 5th anniversary of their own label, their focus on the traditional authentic aspects of hip hop have seen them build beyond the States with many links to overseas territories including Germany, Switzerland and Australia. The second official video taken from the album was released recently. 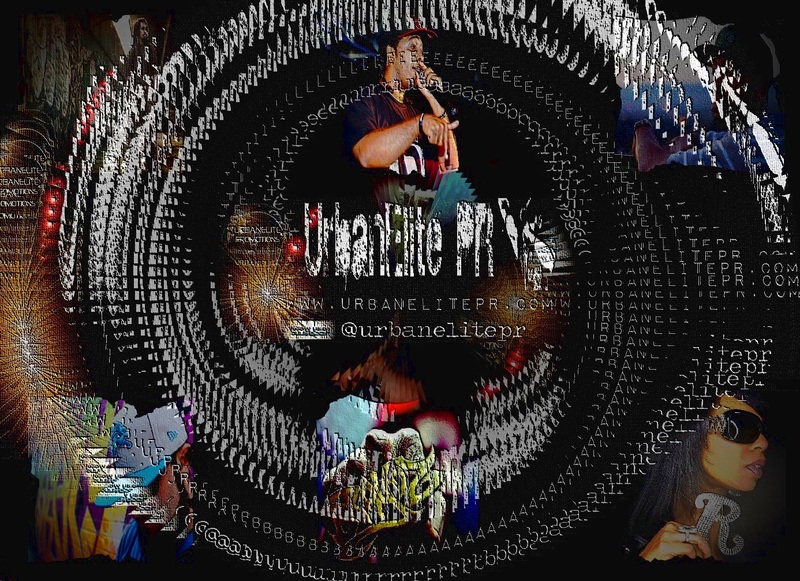 Here’s the visuals for “Breathin” which was filmed throughout Baltimore….check the lil kid stealin the show!! !